Cowboys owner Jerry Jones might've been right when he said starter-turned-backup quarterback Tony Romo would win a Super Bowl. Unless that Super Bowl win comes at the end of this season, it's quite possible that Jerry won't be able to celebrate with Romo. After publicly conceding the job as Cowboys starting quarterback to rookie Dak Prescott — and privately asking the coaches for a shot to win his job back — Romo has started weighing his future options. 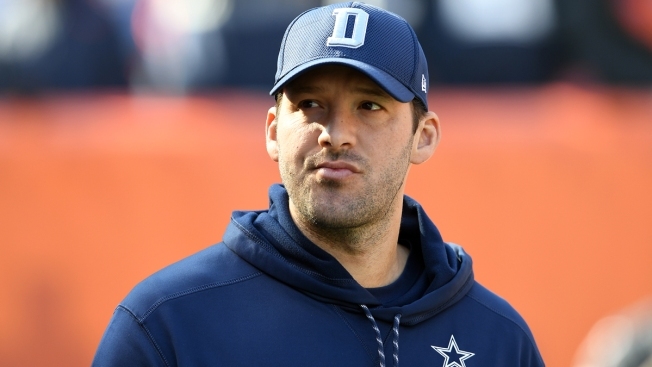 According to NFL Network's Ian Rapoport, Romo has his eyes on the Denver Broncos. The Broncos certainly make sense as a destination for Romo, as they're basically a quarterback away from competing for another Super Bowl championship. Current starter Trevor Siemian has been solid and rookie backup Paxton Lynch showed why he's not quite ready in limited action. Many Las Vegas sports books still have the Cowboys as a 2/1 favorite to be Romo's team next season due to the quarterback's high salary. But that salary is a lot for the Cowboys to take on unless Prescott struggles or suffers an injury. Vegas oddsmakers list Denver (5/2) and the Arizona Cardinals (3/1) as the next most likely options.